As a result of increasing complexities of business environment, innumerable contracts are entered into by the parties in the usual course of carrying on their business. ‘Contract’ is the most usual method of defining the rights and duties in a business transaction. 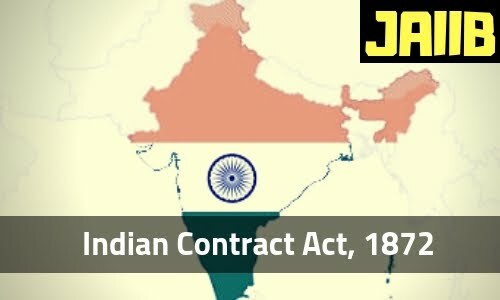 The Indian Contract Act, 1872 codifies the legal principles that govern ‘contracts’. The Act basically identifies the ingredients of a legally enforceable valid contract in addition to dealing with certain special type of contractual relationships like indemnity, guarantee, bailment, pledge, quasi contracts, contingent contracts etc. Enforceability by law - There must be an intention to create legal obligation, Mean agreement of social and domestic importance is not legal contract, for examples; A husband promising his wife to buy her a ‘necklace’ on occasion of her birthday is not a contract. ‘Swachata Pledge’ under bharat swachata abhiyan is not legal contarct. Means all contracts are agreement, but all agreement are not contracts. Must be Free Consent of parties - Consent is said to be free when it is not caused by coercion, undue influence, fraud, misrepresentation or mistake. Lawful consideration - Consideration means ‘something in return’. It must be real (actual, either in cash or kind) and lawful. 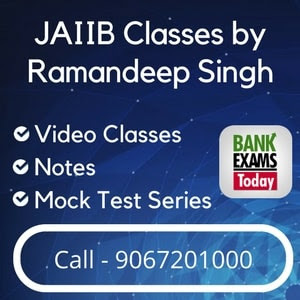 Parties are competent - A person is considered competent if he is (a) 18 years of age (b) of sound mind (c) not disqualified from contracting by any law to which he is subject. Agreements not expressly declared to be void by law. For example any agreement, which causes resistance in trade or marriage of any one, are expressly void in this act. Certain - Means term of contract like type, quality, value, place, methods are to be certain. Capable of Performance - Performance of terms of contract should be viable/possible also. Fulfil the Legal formalities, where nature of agreement is such that it requires compliance of certain formalities. For example; Bank will accept pledge only in writing on stamp papers. All damages which he may be compelled to pay in suit. All costs which he may be compelled to pay in bringing or defending any suit. All sums which he has paid under the term of compromise of any suit. Note that, this section is not exhaustive; means does not set out all the reliefs which an indemnity holder may get. So he may exercise right for other equitable reliefs also. Creditor – the person to whom the guarantee is given is called the ‘creditor’. Bailee – the person to whom the goods are delivered. Bailment of goods as security for payment of a debt or performance of a promise is called ‘pledge’. A pledge is a bailment of moveable property by way of security. Example – ‘Activity of keeping gold’ as security in gold loan by muthoot, manappuram etc. Pawnee – the bailee in this is case as pawnee. Agent is a person employed to do any act for another or to represent another in dealing with the third person. The person for whom such act is done, or who is so represented is called the Principal. Whether the person has the capacity to bind the principal and make him answerable to the third party. Whether he can establish privity of contract between the principal and third parties. If the answer to these questions is in affirmative (Yes), then there is a relationship of agency. Thus, Agency' is a comprehensive word used to describe the relationship between one person and another, where the first mentioned person brings the second mentioned person into legal relation with others. The Rule of Agency is based on the maxim "Quit facit per alium, facit per se" i.e., he who acts through an agent is himself acting.